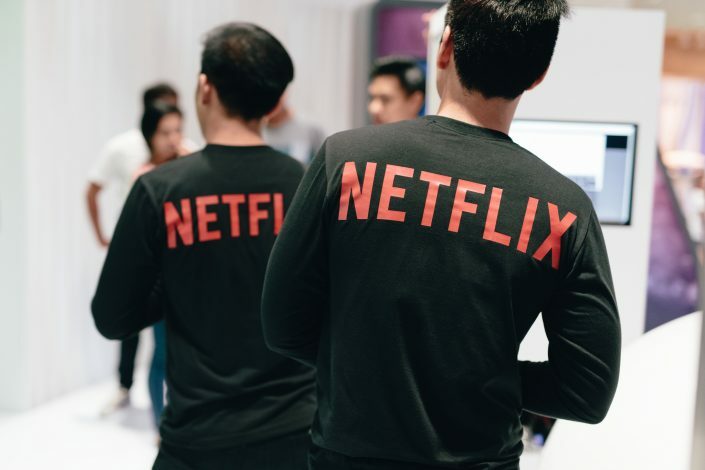 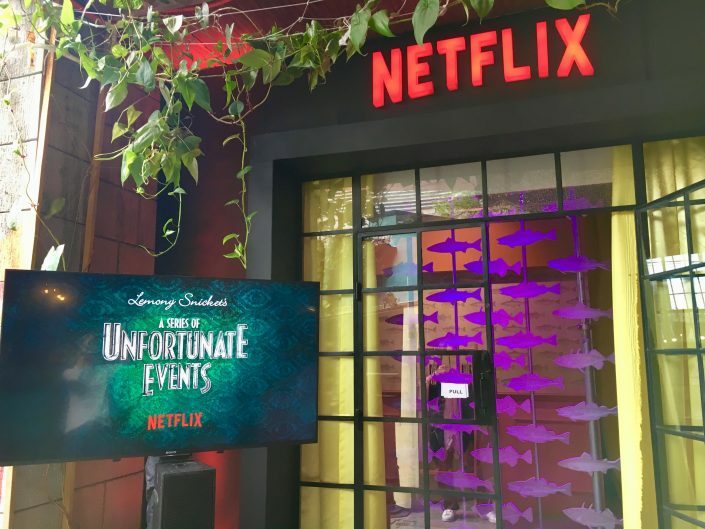 World’s leading subscription service where all your favorite award-winning, genre-changing, thought-provoking movies and series are! 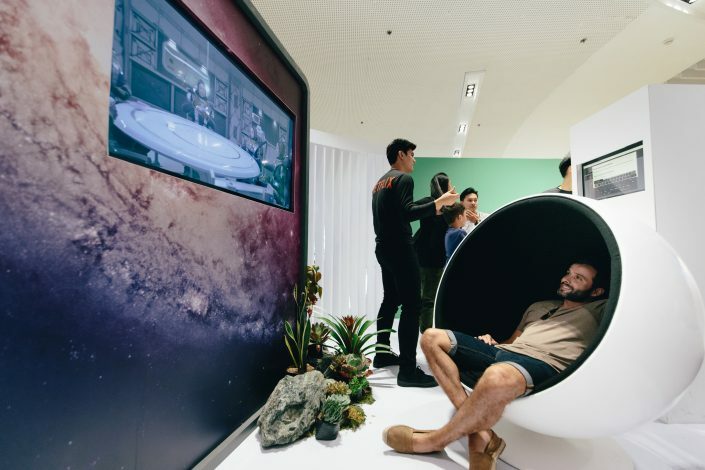 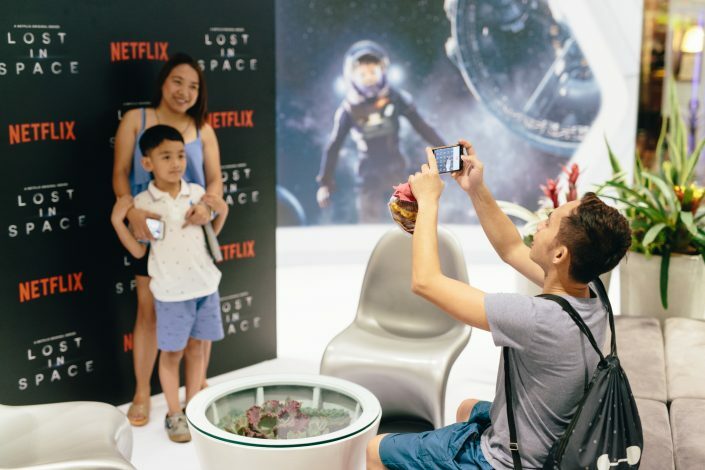 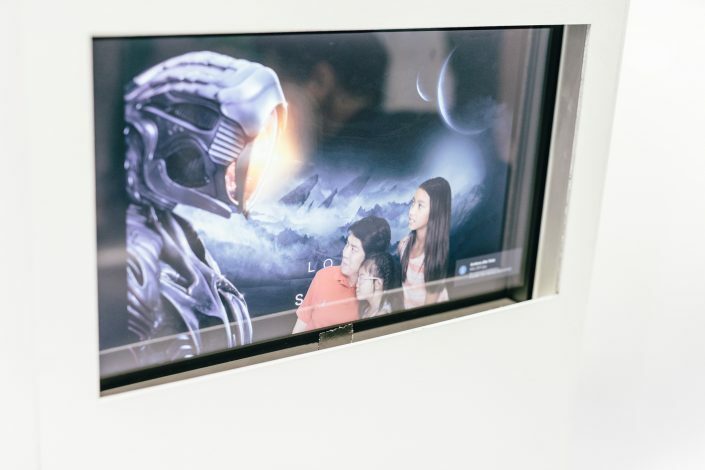 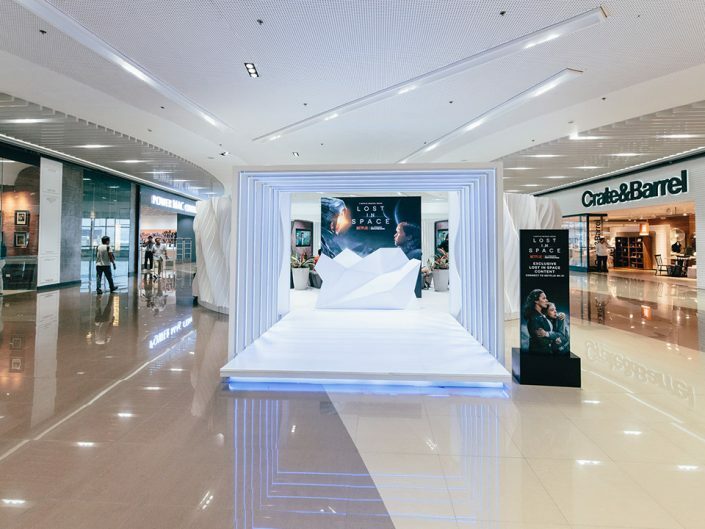 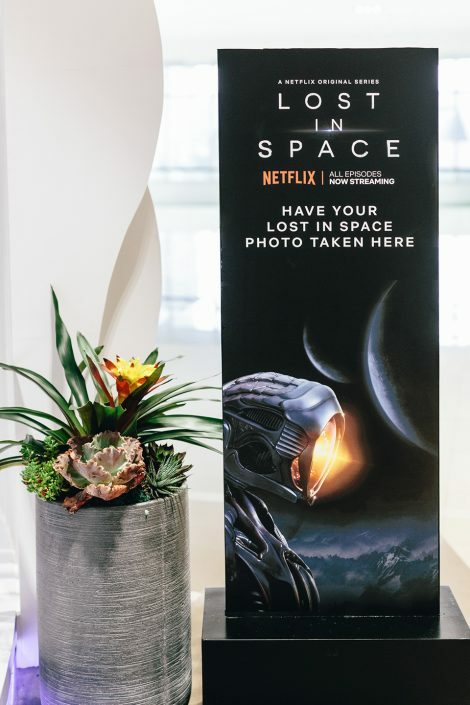 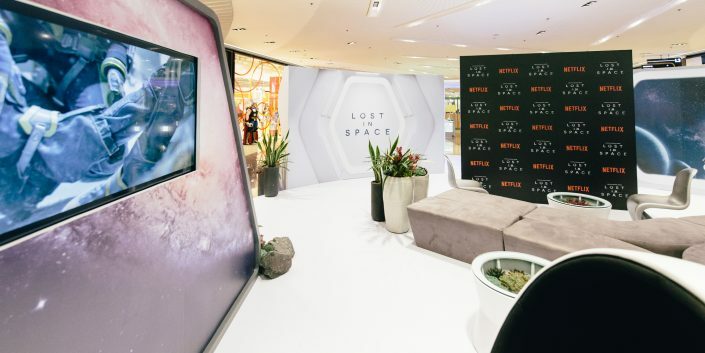 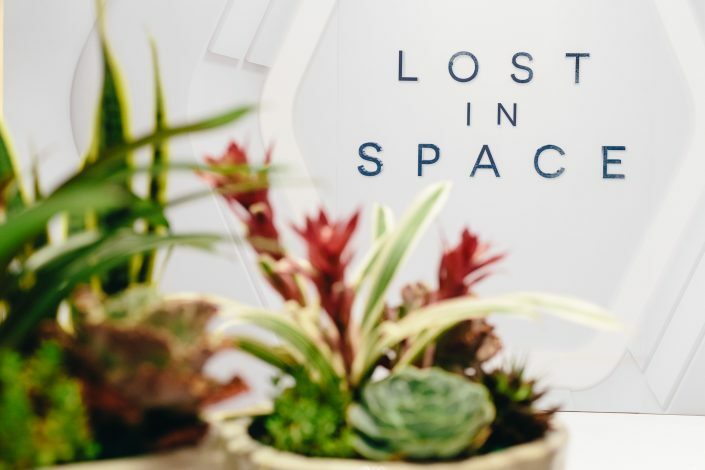 Moss Manila takes you to an out of this world Netflix viewing lounge with the remake of the 1960’s TV Series Lost In Space. 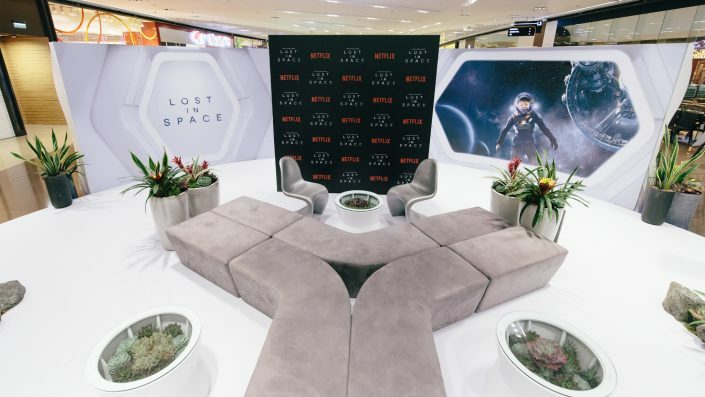 Making their own interpretation of the Jupiter 2, Moss Manila turns it inside out with the 10m x 13m lounge area enclosed with wavy slat panels, the lighted tunnel, jagged registration table, to the TV panels wrapped in galaxy sticker, step and repeat photowall, interactive green screen photowall, customized y-shaped furniture to the exotic floral arrangement that will take audiences out of this world. 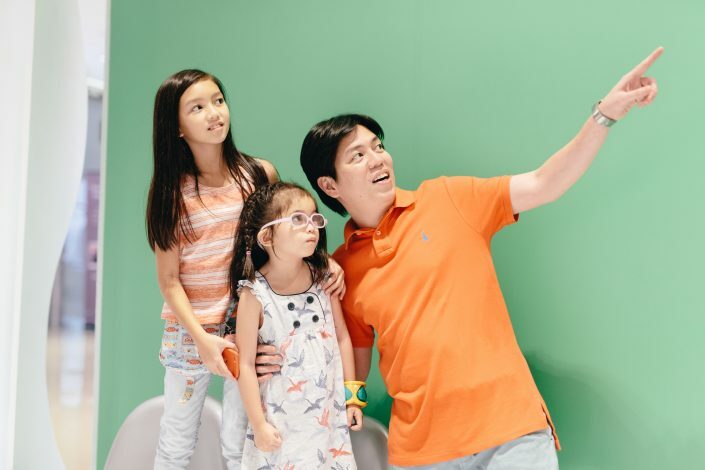 Thank you Red Rivera for the awesome photos! 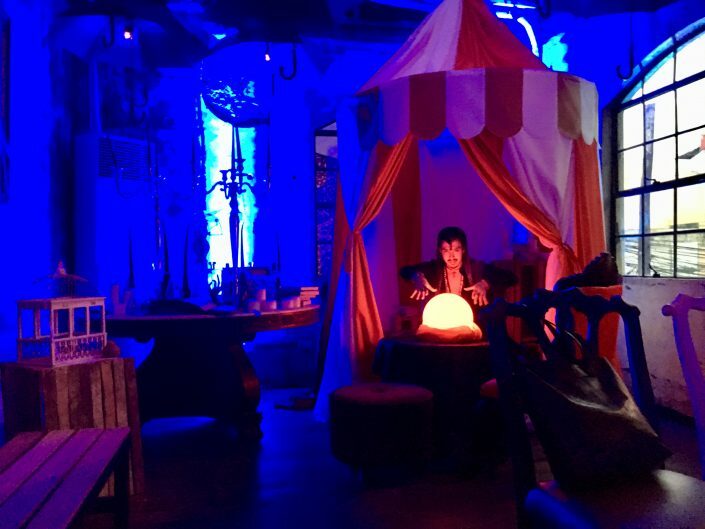 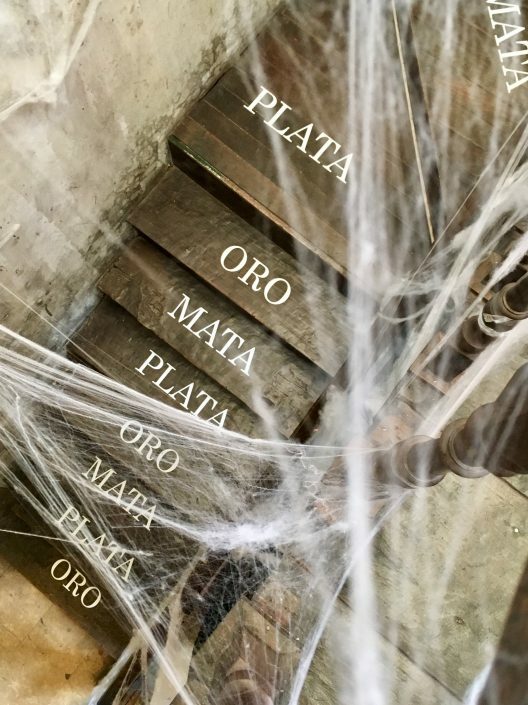 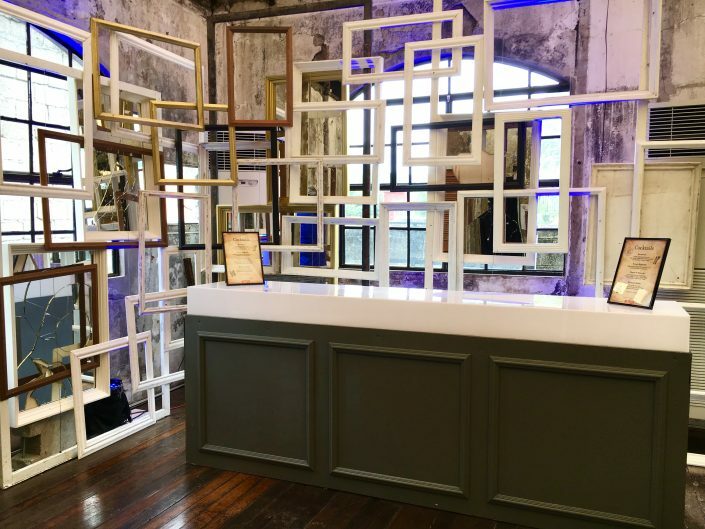 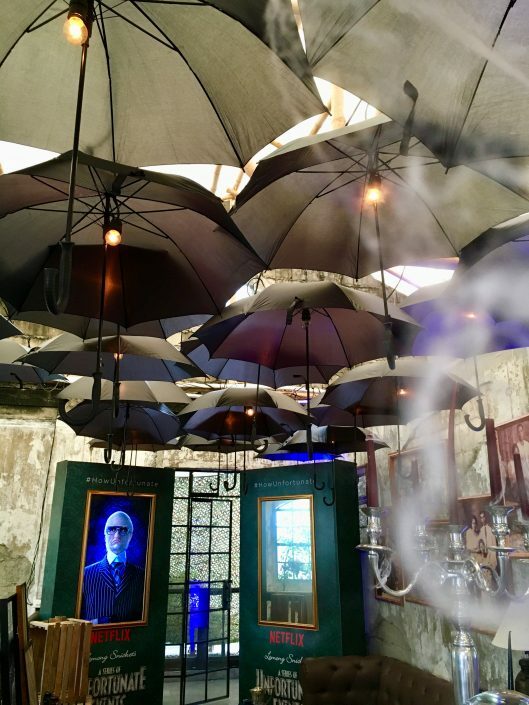 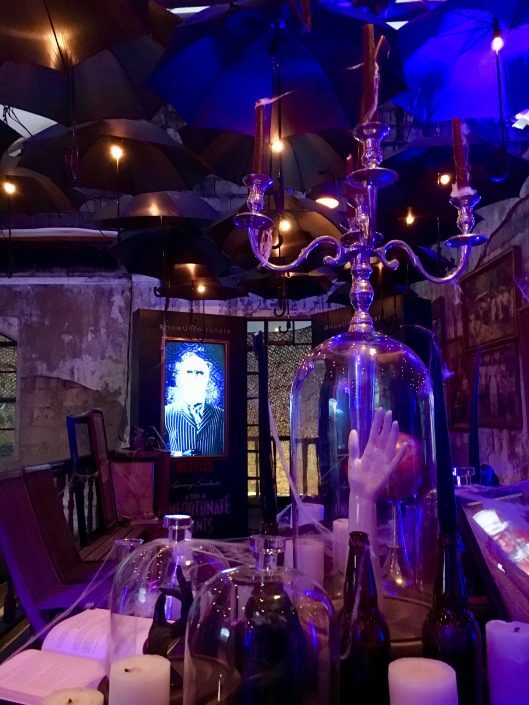 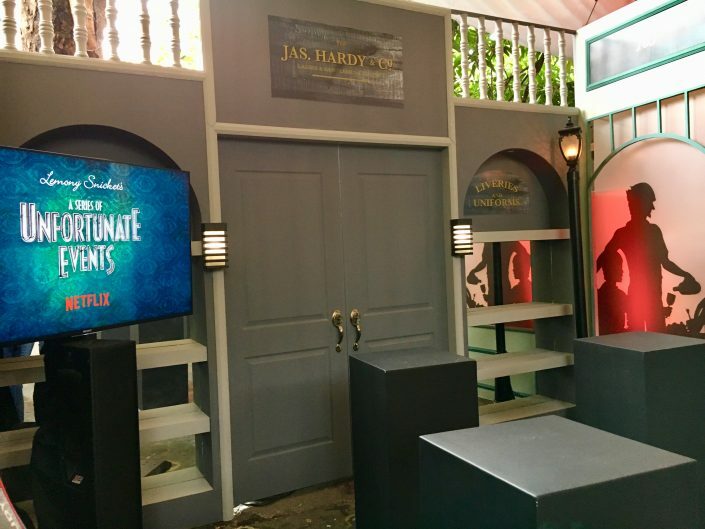 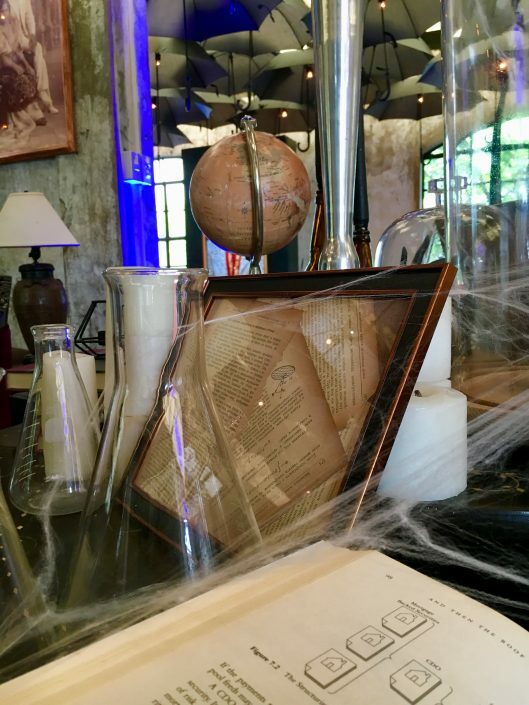 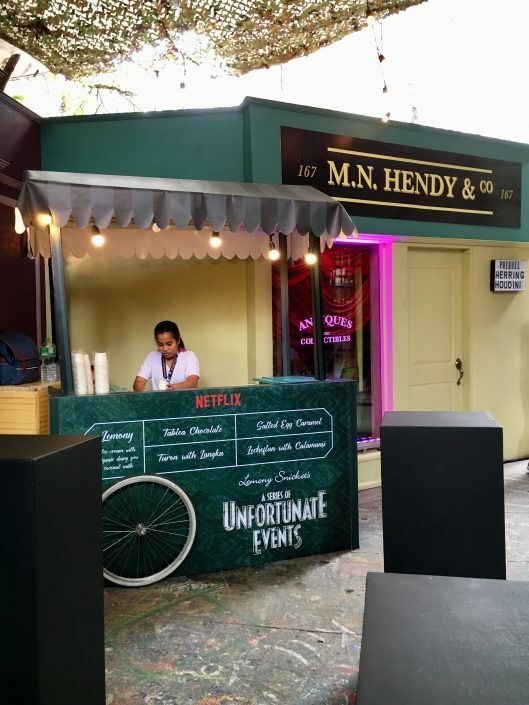 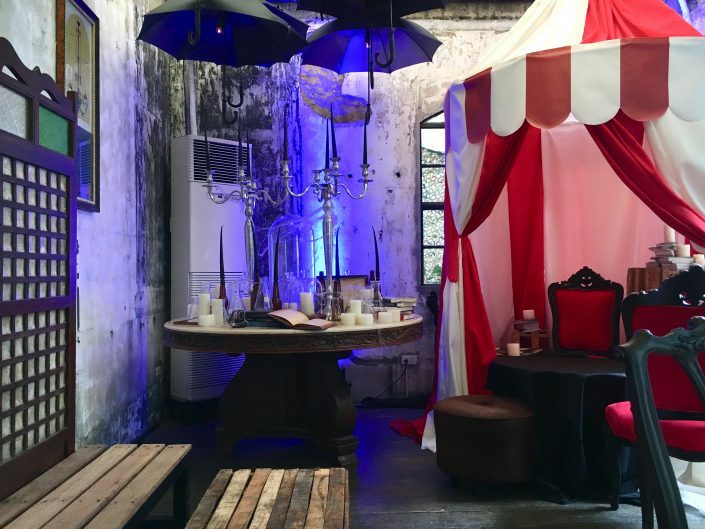 When Moss Manila takes the Ruins in Poblacion and recreated three key visual locations that would be seen in the second season of Lemony Snicket’s A Series of Unfortunate Events. 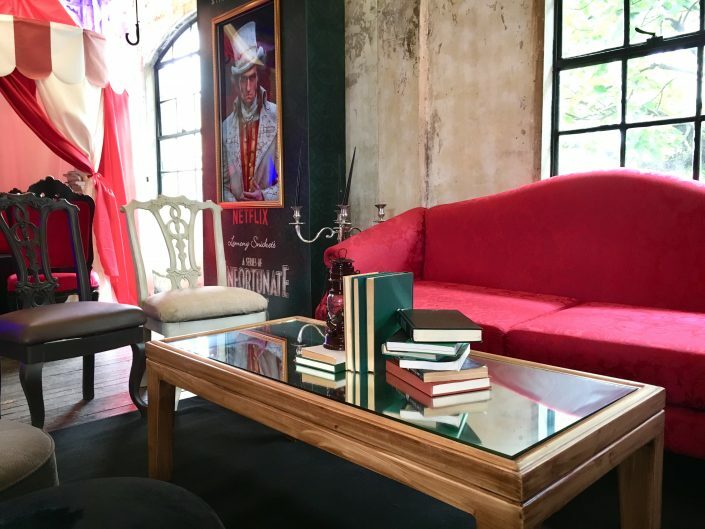 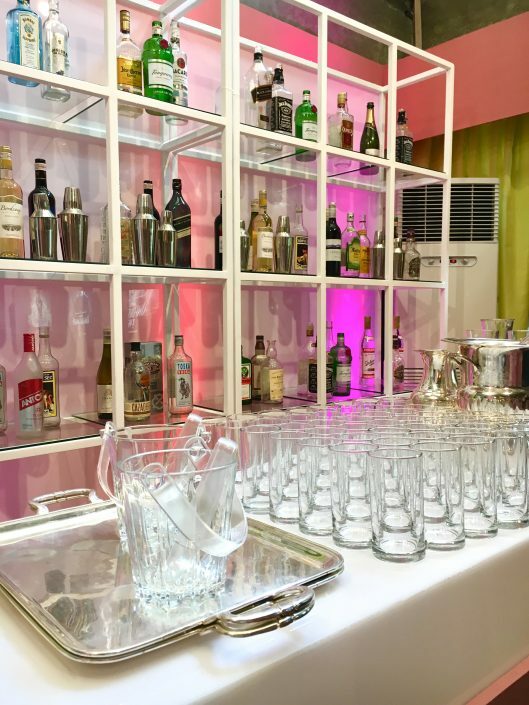 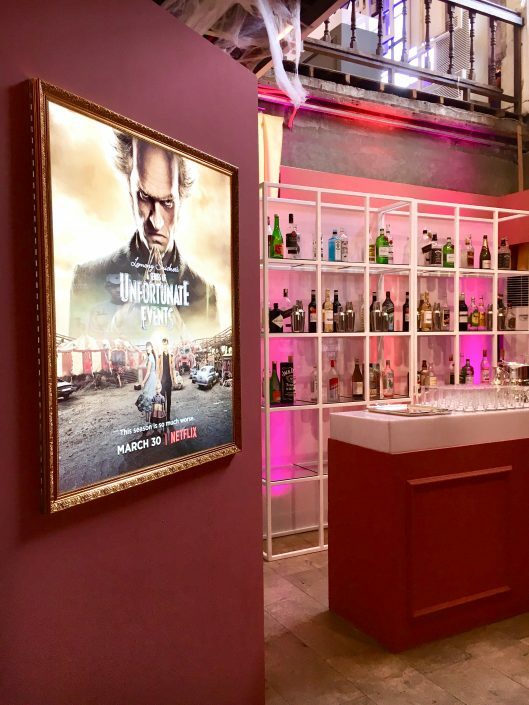 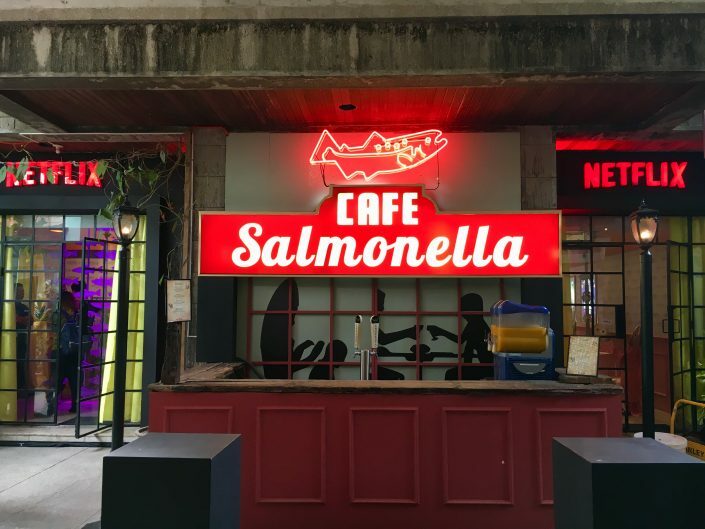 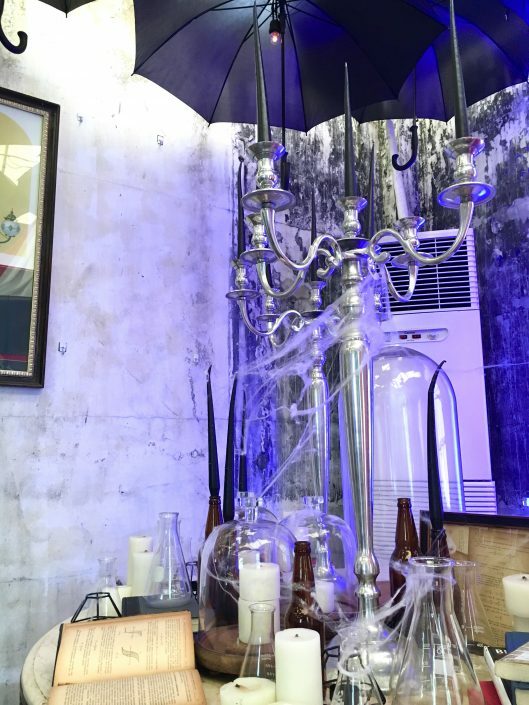 Open for the public, guests are ushered into a waiting area of some sort where Moss Manila recreated the Dark Alley with a facade that replicates the scenes found in the series as well dressing up the interior with floor to ceiling walls that transports the public to the “In” restaurant, Cafe Salmonella. 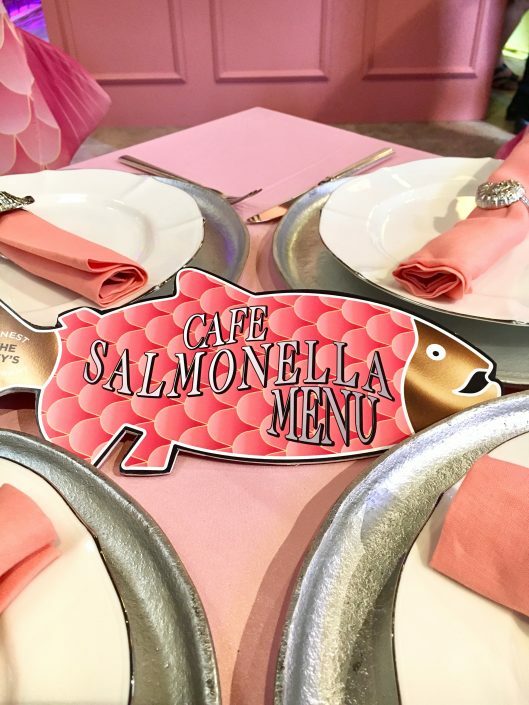 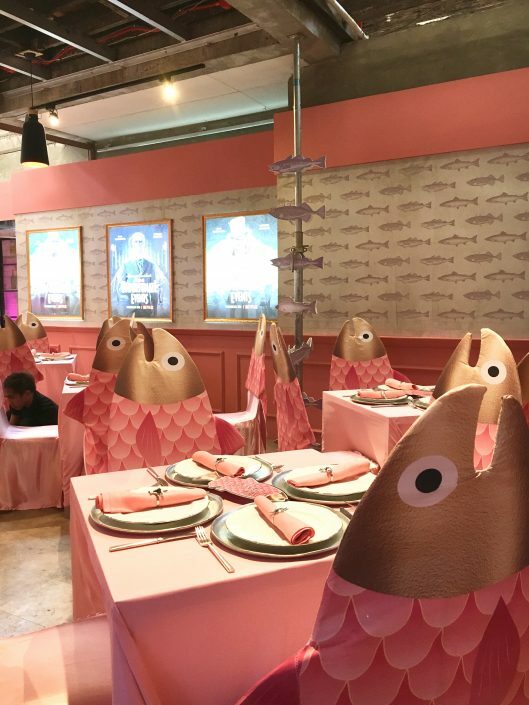 Everyone is treated to a unique dining experience where all dishes served are Salmon based.